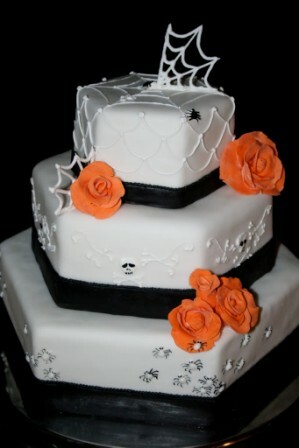 Fun wedding ideas are the perfect way to help make your wedding unforgettable. Make sure you include some fun wedding reception ideas to get your guests laughing and enjoying the party. Since the wedding reception is the first time most family members are meeting the other side of the family, try to include activities that will force them to mingle and work together. 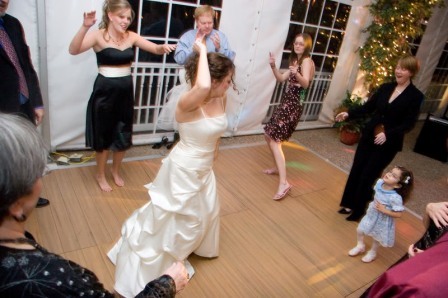 One of the most commonly used fun wedding reception ideas is to incorporate games into the reception. You can have different groups of guest play a game of Musical Chairs and give away prizes. You can also have a dance contest where the couples are a mix of people from each side of the family, thereby making it easier for the two families to get to know each other. Other games where you can pair up members from each family include a three-legged race, where the winning team gets a prize. Reception games can also be performed at each table. Have guest play a game of Bingo for prizes or place a raffle ticket at each seat. You can also have each table select a representative for a table versus table karaoke contest. These games are sure to keep your guests interested in the reception and laughing all night. 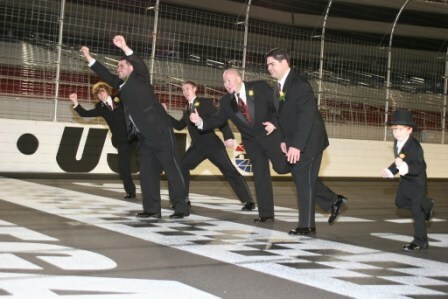 Other fun wedding reception ideas have to do with the reception hall itself. You can book your wedding reception at an ice-skating rink or at a place with a huge pool. Make your wedding reception a fun event by asking your guests to bring their bathing suits and sports gear and hold your reception at a golf or sports club. You can also choose to decorate your reception hall according to a certain theme, making it possible to hold a costume party/wedding reception where guests can come dressed as celebrities, aliens or members of medieval monarchy. Some very fun wedding reception ideas can be incorporated into a destination wedding. It's easy to get your guests to play limbo or dance with a hula hoop at a beach wedding reception with a Hawaiian theme. You can also have contest to build a snowman for winter outdoor weddings. Other great ideas come from the hotel or resort themselves, as many places offer wedding packages that include fun and games for all guests of a destination wedding.